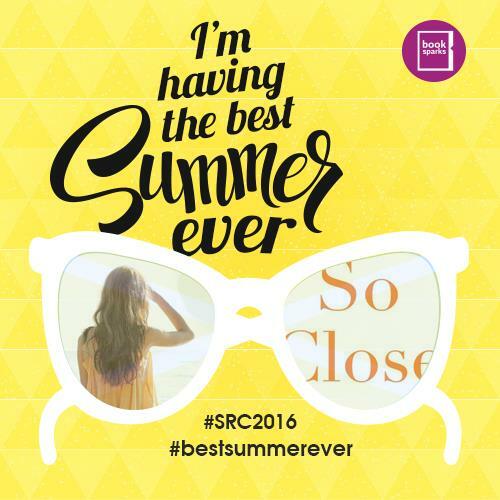 #SRC2016 July read is So Close by Emma McLaughlin and Nicola Krauss. The dynamic duo brought us Nanny Diaries a few years ago- a book that I LOVED. I’ve actually not read any of the other they have partnered to write, but So Close sounds appealing. From international #1 best-selling authors Emma McLaughlin and Nicola Kraus comes a story about a girl from the trailer parks of central Florida and the two powerful men who shape her life one of whom will raise her up to places she never imagined, the other of whom will threaten to destroy her. Amanda Beth Luker has spent her whole life desperately looking for someone who can show her the way out of her trailer park Florida town. And then, finally, help arrives in the form of Tom Davis, a successful lawyer with political aspirations who grew up just a few towns over from Amanda. But it’s his wife, Lindsay, who really captures Amanda’s imagination. Strong, smart, and determined, she gives Amanda something she’s never had: a role model. Meanwhile Amanda is introduced to the wealthy, charismatic, and deeply troubled Pax Westerbrook. He clearly desires Amanda, but if she gives in will that move her closer to the life she’s always dreamed of or make it impossible? Amanda rides Davis’s political success all the way to Washington, where he becomes Senator and will later be tapped for president and even make a bid for the White House. But when Amanda starts to suspect, and later confirms, his moral indiscretions, her loyalty is tested. Will a girl from a trailer park even be believed if she goes public with damning information? Will she be willing to risk losing everything she’s gained?